What is the purpose of the LIRTC? Our goal is to expand open space preservation and rehabilitation by acquiring land which shall remain predominantly undeveloped, thereby providing long-term recreational and educational opportunities to those members of the public not served by traditional municipal land use policies. To serve as a certified educational facility teaching safe, prudent and responsible ATV use. community and other off highway user groups. Additionally, we are open to other persons who feel that they have not received adequate access to recreational facilities. Why is LIRTC offering free ATV safety training? 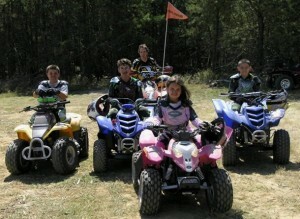 ATV’s can be a wonderful form of recreation and provide many hours of good clean fun. 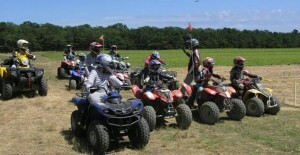 Although Suffolk County ranks in the top three counties in New York State for ATV registrations there is no full time ATV safety training facility. All sporting activities come with inherent risks and it is our goal to educate as many people as possible to reduce those risks. The ATV training will be available free to members of the general public. One will not need to be affiliated with any club in order to qualify. What topics will be covered in the ATV safety-training course? The course will cover pre-ride inspection, simple maintenance, basic riding skills, State and local ATV laws and environmental awareness. The course will consist of both lecture and practice riding sessions. The trail bike safety portion of the course will be different from the Quad safety portion of the course. Will all ATV’s (even loud ones) be allowed at the LIRTC facility? As a good neighbor, and respecting local noise ordinances, the LIRTC will develop site-specific decibel limits for ATV’s. The LIRTC has already invested in the necessary test equipment, and has begun limited testing of various ATVs. All ATV owners wishing to ride at a LIRTC facility will be required to meet these specific decibel limits. Will the LIRTC establish a place for organized ATV racing? No, our goal is to have a facility that provides free ATV safety training, where individuals and families can enjoy recreational riding in a legal and safe environment. Is the LIRTC the same as the LIORV? No, they are different entities. The LIORV was initially a club or group that later incorporated. The manner in which the LIORV was incorporated, does not meet the long-term needs of the ATV community. The LIRTC has employed both legal and financial professionals specializing in this type of organization for guidance with the LIRTC’s creation. Their recommendation was that a new legal entity was necessary. Working with these advisors, and following their recommendations, the LIRTC was formed during the fall of 2006. The Trustees of the LIRTC are Tom Riker, Robert Ott, John Savio, and Richard Pelkowski. Where can I ride my ATV legally? In Suffolk and Nassau Counties it is only legal to ride your ATV on land that you own, or on land where the owner has given you written permission. You must carry this written permission with you, every time you ride. You must also carry an up to date registration and proof of insurance. See the local laws section on this site for additional laws. What were the findings of the ATV Task Force? How will a legal riding area help Long Island? A legal area designated for ATV use would reduce the growing problem of illegal riding on Long Island. It would offer members of the general public a monitored place to enjoy their ATVs at a safe and supervised location.